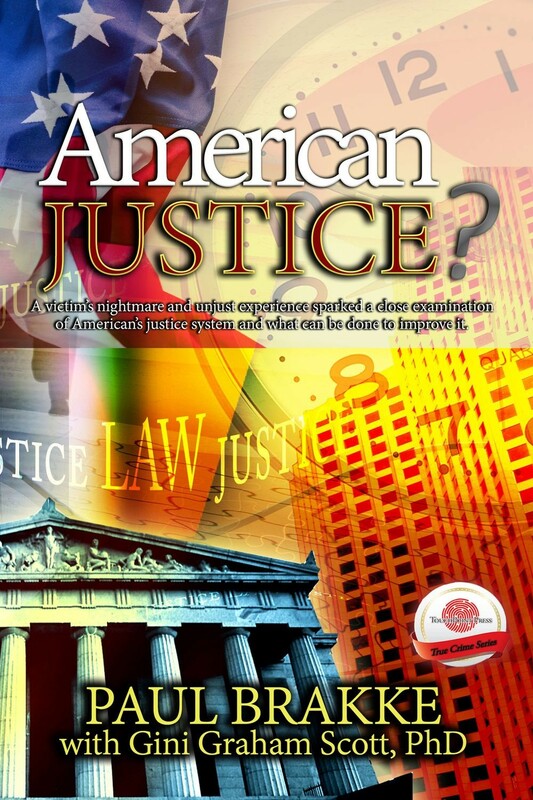 This book is for those who believe they know all they need to know about the criminal justice system — the system that keeps us safe from criminals; the system that protects its good, law-abiding citizens. Told in two sections, the first a first-person perspective of a victim’s husband, American Justice is a true story that provides an up close and personal look at the American justice system and how easy it is to become a victim of the system. The focus within this book is more than the victims’ stories — it is a crucial and critical examination of how things can go very wrong, especially when one does not adequately understand the laws that are supposed to protect them. Paul Brakke and his wife Carol believed that obeying the law and telling the truth was good enough. They believed that truth would indeed prevail. They were wrong. Paul and Carol Brakke’s nightmare began when some local kids falsely accused Carol of trying to run one of them over. The kids didn’t like her interfering with their play at a dangerous intersection. Based on this false accusation and additional lies by neighbors who wanted to get the Brakkes out of the neighborhood, Carol was subjected to psychological warfare, which included an involuntary commitment to a psych ward, two psychological evaluations, exile from her home, delays in setting a trial date, and the threat of a 16-year jail term. These circumstances forced the Brakkes to agree to move out of their home to another community as part of a plea bargain in which all charges relating to aggravated assault were dropped. This book describes Carol and Paul’s harrowing experience, followed by Paul’s discussion of problems in the criminal justice system and recommendations on what to do to resolve those problems. As the second section of this book points out, much can go wrong in legal cases. As such, it is vital to educate yourself about the U.S. criminal justice system to prevent becoming a victim and to improve the system to make ours a better country and a more just society.